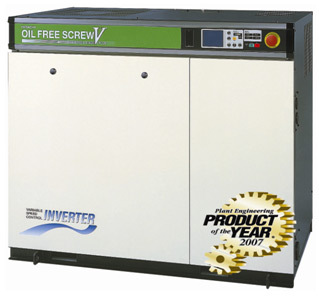 HITACHI DSP OIL-FREE COMPRESSOR WINS PRODUCT OF THE YEAR AWARD : News Releases : Hitachi America, Ltd.
Patented HX-18 PTFE-Free rotor coatings to ensure the highest quality air is provided to the end user. Exclusive usage of stainless steel rotors on both the 1st and 2nd stage. Patented Oil Mist Remover (OMR) to prevent oil mists from venting to atmosphere.